We (that’s Casper and Klaus) are back in Kenya. Casper was here last year, but it’s been four years since Klaus was last here. And it’s good to be back! 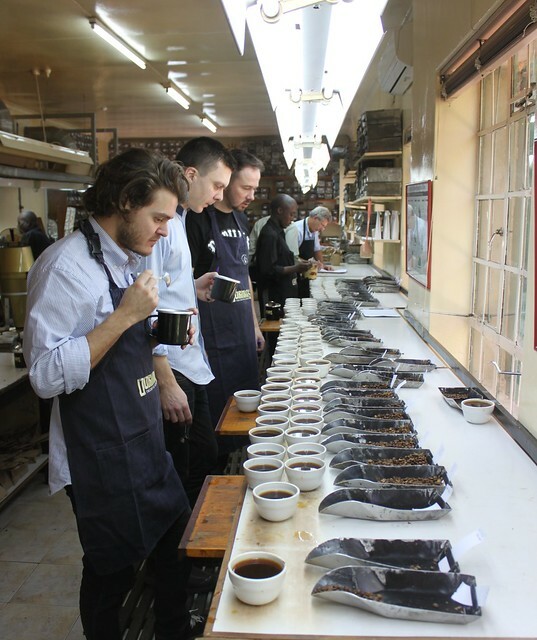 Monday we spent all day at Dorman’s in Nairobi cupping somewhere between 100 and 150 different coffees. Most of it lots that were going on the auction the day after. We’re not buying coffees through the auction, but in stead we buy it directly from the farmer. The cupping was great, though, to get an overview of what’s available this year and in general to get in shape for cupping these high-acidic Kenyans. 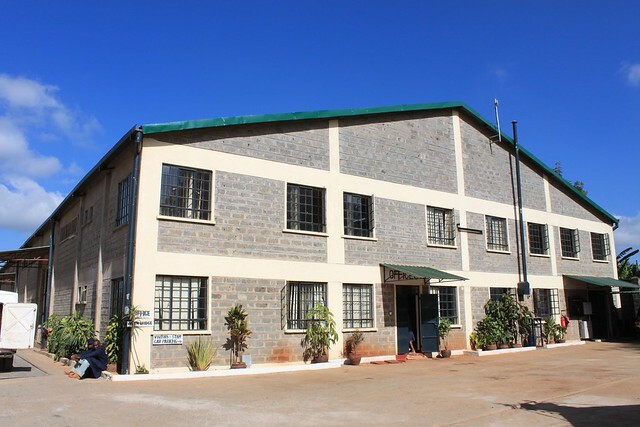 Dorman’s is probably the most quality-orientated exporter here in Kenya and we have a great relationship with them. They’ve helped us setting up our own Direct Trade relationships here and are paid separately for the work they do. Bridget, who’s our main contact, is always fun to be around and some of you might know her from her judging duties in the WBC. It was also nice to see Jeremy Brock again and Kennedy, who are both terrific cuppers. This morning, Tuesday, we left Nairobi in the morning to drive up to Nyeri. 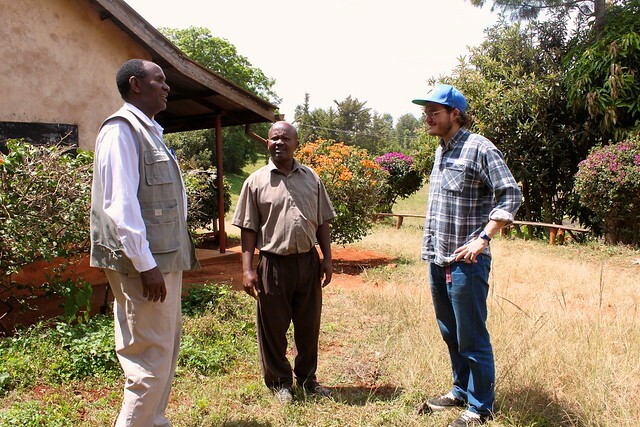 First stop was the Central Kenya Coffee Mill where Ernest was ready to greet us with a cupping. The coffees here are even fresher and tasted amazing. After the cupping we went to visit the Kieni factory - the wet mill or washing station, as it’s also called. We’ve been exceedingly satisfied with the lot we bought from Kieni last year and are hoping to buy from them again. However, “Taste Is King” and we’ll buy the coffee that stands out on the cupping table. On the other hand we’d also like to support the same factory and society year after year, like we do in other places. It comes down to a balance, but we think we’ve found a great society in Mugaga. Kieni is part of the Mugaga society. To explain, a society is a coop of several factories. Mugaga has Kagumoini, Kiamabara, Gathuga, Gatina and Kieni under their umbrella. Last year we bought lots from the latter two. Other roasteries call their coffees by the society name, Mugaga in this instance, but we prefer to have the traceability of the wet mill as the primary name. The president of the Mugaga society welcomed us to their headquarters and we talked for a while about the challenges they face. This year in Kenya, the harvest is extremely small. It was small last year too, but it’s even worse this year. With the C-market price being very high, and supply being low too, the coffees are getting historically high prices. However for the individual farmer it does not compensate enough for the very low yield they’ve had this year. We all need to pay a lot more for coffee, if we want quality coffee in the future. And we need to guarantee that the farmers and pickers receive the money. Fortunately all the farmers we talked to say that they benefit a lot from selling directly to roasters. They get a higher price, which is the most essential thing. There’s some good news in here though. There’s more AA - that’s the largest size beans – this year, and the beans are huuuuge! That’s not necessarily an indication of quality, but from what we’ve hear and what we have cupped, the flavor quality of the coffee this year is better than last year. At Kieni we saw a lot of interesting things. It’s amazing to see these more than 50-year-old trees growing side by side with banana, mango many other trees. The biodiversity is huge and there’s a lot of shade from the higher trees. We were guided though the way they process the coffee at the wet mill, which varies slightly from mill to mill. We want to share all the information we got with you, but the internet connection here is quite slow and it’s gonna be much better with pictures. After Kieni we visited the Kagumoini factory, which is also part of the Mugaga society. It’s probably the most beautiful coffee mill we’ve ever seen. Pictures doesn’t do it justice. They were very nice and welcoming and we had a great time there. Pictures will follow once we’re back. In the afternoon we did another round of cupping and there were some really spectacular coffees on the tables. We could easily have bought some right there on the spot, but we’re doing another couple of rounds of cupping tomorrow, and really look forward to it. Sorry for the lack of pictures. We’ll try to update again soon. Many greetings from Kenya! UPDATED: Now with pictures. Finally. really enjoying reading your post from Kenya! 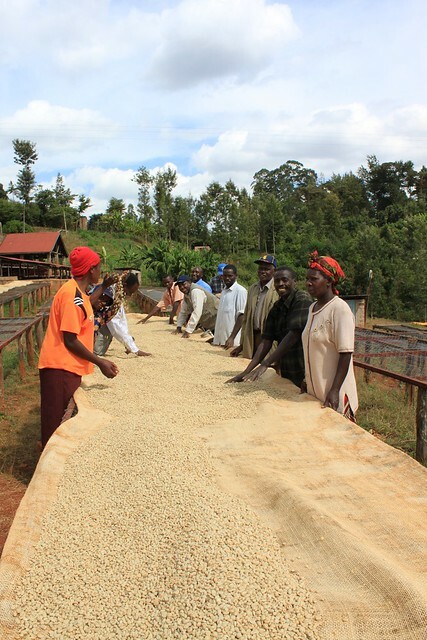 It's great to see that the farmers get better prices direct from roasters.